After almost two years of anticipation, the final season of Game of Thrones finally began this week. 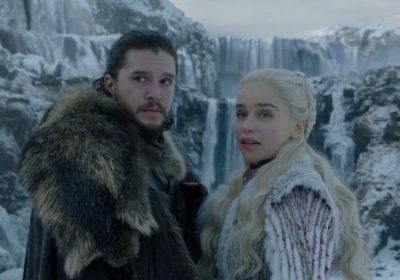 Eager fans around the world tuned in on Sunday to watch ‘Winterfell’ – and now it seems that the majority viewers watched the episode illegally . New data from MUSO, the global authority on digital piracy, has revealed that the episode was pirated 54,261,910 times within the first 24 hours of its premiere. In comparison, HBO’s official figures revealed that just 17.4 million watched the episode legally. Delving deeper into the results, MUSO revealed which countries illegally streamed the episode the most. India and China were the countries where most people illegally streamed the episode, followed by the US, UK and Nigeria. Andy Chatterley, co-founder and CEO of MUSO, said: "Perhaps unsurprisingly, the relentless, global demand for access to HBO’s Game of Thrones, through both legitimate and illegitimate channels, is still absolutely staggering. “Season 8 has been long-anticipated by fans around the world, leading to what can only be described as piracy mania as dedicated fans look for streams and torrents, whether that be a result of the content not being available in their region, wanting to get in on the action early through fear of missing out, or to avoid seeing spoilers on social media. “The episode also leaked hours in advance of the premiere, causing a frenzy on torrent and streaming sites across the world. “Regardless of rationale, the piracy figures for just the first 24 hours since the episode aired demonstrate that these audiences cannot – and should not – be ignored. “Despite considerable global efforts to tackle piracy over the past couple of years, this data shows that consumers are still being driven to unlicensed sources to find content.